Riders must apply for these awards. In 2013 - 2016 three special FADS awards were offered in memory of three very special horses. This special award program will be repeated for 2017! An award will be provided if there are at least three applications for any category. Stephanie Corum of SC Enterprises (click here) had the honor and privilege of knowing all of these horses very well and is sponsoring these awards in their memory. They were special creatures that represented themselves well and deserve to be remembered. Recipients will receive a special FADS saddle pad. 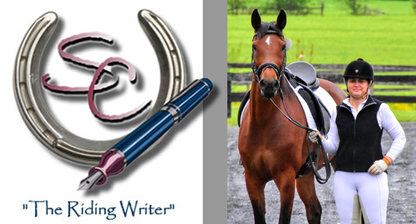 Scores must be from USDF, USEF, FEI dressage tests and USEF and FEI eventing tests. Musical freestyle, rider tests, Western tests and gaited tests are excluded. Scores must be from the same horse and rider combination. Scores must be from 4 classes from 2 or more FADS 2016 Spring/Summer shows from 2 or more different judges. Scores may be from one or more dressage levels. the horse is a mare. of identification proving the horse is a purebred thoroughbred. Click here to open the FADS 2017 Special Awards Cover Sheet. Click here to open the FADS 2017 Special Award Application Form. Applications must be received by December 15, 2017. Special Awards Update: Stephanie is moving to Florida! Therefore, 2017 will be the last year of the FADS Spewcial Awards sponsored by Stephanie. Thank you to Stephanie for her support of these awards for five years. Wishing you fun and opportunities in your new home. Cowboy Charisma was an Appendix Quarter Horse mare owned by Stephanie Corum. Charisma loved the spotlight of being the only one in the dressage ring and was very successful through first level. However, as a mare, she posed challenges for her rider. The purpose of this award is to acknowledge the partnership that must exist between mare and rider for the combination to be successful. Awarded to the horse and rider combination that have the highest average scores earned on a mare. Copper Challenge was the favorite horse owned by Col. Alfred R. Kitts, an Olympic alternate, respected "S" judge, instructor and horseman. A lifelong thoroughbred fan, Col. Kitts was well known to say that "A thoroughbred can do anything another breed can do, only better." Awarded to the horse and rider combination that have the highest average scores earned on a purebred thoroughbred. 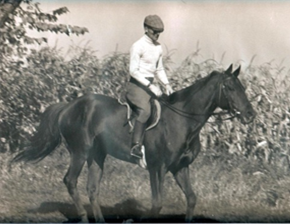 Mo Rafi Bey was a Crabbet-bred Arabian last owned by Sue Hull. 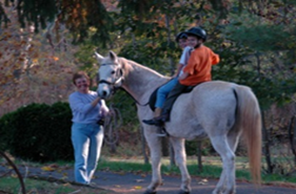 Sue purchased him as her first horse as he was very personable, charming and trustworthy. He epitomized everything that is good in the Arabian, was a stunning dressage mover and an outstanding teacher. Awarded to the horse and rider combination that have the highest average scores earned on a purebred Arabian.